_J Babylonian paganism has continued to our day may be seen in the way the Romish church invented Mary worship to replace the ancient worship of the mother goddess. 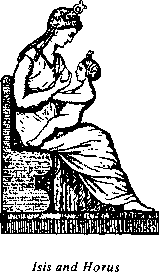 The story of the mother and child was widely known in ancient Babylon and developed into an established worship. Numerous monuments of Babylon show the goddess mother Semiramis with her child Tammuz in her arms.1 When the people of Babylon were scattered to the various parts of the earth, they carried the worship of the divine mother and her child with them. This explains why many nations worshipped a mother and child—in one form or another—centuries before the true savior, Jesus Christ, was born into this world! In the various countries where this worship spread, the mother and child were called by different names, for, we will recall, language was confused at Babel. When the children of Israel fell into apostasy, they too were defiled with this mother goddess worship. As we read in Judges 2:13: "They forsook the Lord, and served Baal and Ashtaroth." Ashtaroth or Ashtoreth was the name by which the goddess was known to the children of Israel. It is pitiful to think that those who had known the true God would depart from him and worship the heathen mother. Yet this is exactly what they did repeatedly (Judges 10:6; 1 Sam. 7:3, 4; 12:10; 1 Kings 11:5; 2 Kings 23:13). One of the titles by which the goddess was known among them was "the queen of heaven" (Jeremiah 44:17-19). The prophet Jeremiah rebuked them for worshipping her, but they rebelled against his warning. In Ephesus, the great mother was known as Diana. The temple dedicated to her in that city was one of the seven wonders of the ancient world! Not only at Ephesus, but throughout all Asia and the world was the goddess worshipped (Acts 19:27). In Egypt, the mother was known as Isis and her child as Horus. It is very common for the religious monuments of Egypt to show the infant Horus seated on the lap of his mother. tianity. 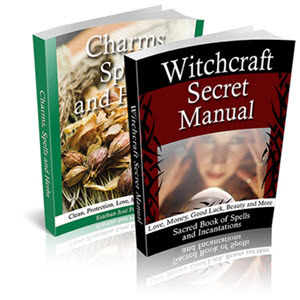 Unconverted pagans were taken into the professing church and in numerous instances were allowed to continue many of their pagan rites and customs—usually with a few reservations or changes to make their beliefs appear more similar to Christian doctrine. One of the best examples of such a carry-over from paganism may be seen in the way the professing church allowed the worship of the great mother to continue—only in a slightly different form and with a new name! 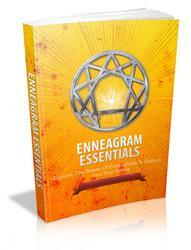 You see, many pagans had been draym to Christianity, but so strong was their adoration for the. 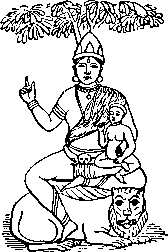 mother goddess, they did not want to forsake her. Compromising church leaders saw that if they could find some similarity in Christianity with the worship of the mother goddess, they could greatly increase their numbers. But who could replace the great mother of paganism? Of course, Mary, the mother of Jesus, was the most logical person for them to choose. Why, then, couldn't they allow the people to continue their prayers and devotion to a mother goddess, only call her by the name of Mary instead of the former names by which she was known? Apparently this was the reasoning employed, for this is exactly what happened! Little by little, the worship that had been associated with the pagan mother was transferred to Mary. It was not until the time of Constantine—the early part of the fourth century—that anyone began to look to Mary as a goddess. Even at this period, such worship was frowned upon by the church, as is evident by the words of Epiphanius (d. 403) who denounced certain ones of Trace, Arabia, and elsewhere, for worshipping Mary as a goddess and offering cakes at her shrine. She should be held in honor, he said, "but let no one adore Mary. "9 Yet, within just a few more years, Mary worship was not only condoned by what is known today as the Catholic Church, it became an official doctrine at the Council of Ephesus in 431! At Ephesus? It was in this city that Diana had been worshipped as the goddess of virginity and motherhood from primitive times!10 She was said to represent the generative powers of nature and so was pictured with many breasts. A tower-shaped crown, a symbol of the tower of Babel, adorned her head. later centuries compromised and adopted a form of mother goddess worship, the Council of Ephesus finally making it an official doctrine! The pagan influence in this decision seems apparent. Among the Phoenicians, the mother goddess was known as "The Lady of the Sea"12, and even this title is applied to Mary—though there is no connection between Mary and the sea! The scriptures make it plain that there is one mediator between God and men, the man Christ Jesus (1 Tim. 2:5). Yet Roman Catholicism teaches that Mary is also a "mediator." Prayers to her form a very important part of Catholic worship. There is no scriptural basis for this idea, yet this concept was not foreign to the ideas linked with the mother goddess. She bore as one of her names "Mylitta", that is "The Mediatrix" or mediator. Mary is often called "the queen of heaven." But Mary, the mother of Jesus, is not the queen of heaven. "The queen of heaven" was a title of the mother goddess that was worshipped centuries before Mary was ever born. Clear back in the days of Jeremiah, the people were worshipping "the queen of heaven" and practicing rites that were sacred to her. As we read in Jeremiah 7:18-20: "The children gather wood, and the fathers kindle the fire, and the women knead their dough, to make cakes to the queen of heaven." One of the titles by which Isis was known was the "mother of God." Later this same title was applied to Mary by the theologians of Alexandria. Mary was, of course, the mother of Jesus, but only in the sense of his human nature, his humanity. The original meaning of "mother of God" went beyond this; it attached a glorified position to the MOTHER, and in much the same way, Roman Catholics have been taught to think of Mary! 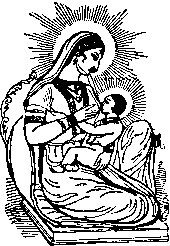 So firmly written in the paganistic mind was the image of the mother goddess with child in her arms, when the days of the falling away came, according to one writer, "the ancient portrait of Isis and the child Horus was ultimately accepted not only in popular opinion, but by formal episcopal sanction, as the portrait of the Virgin and her child. "13 Representations of Isis and her child were often enclosed in a framework of flowers. This practice too was applied to Mary, as those who have studied Medieval art well know. Astarte, the Phoenician goddess of fertility, was associated with the crescent moon, as seen on an old medal. The Egyptian goddess of fertility, Isis, was represented as standing on the crescent moon with stars surrounding her head.14 In Roman Catholic churches all over Europe may be seen pictures of Mary exactly the same way! 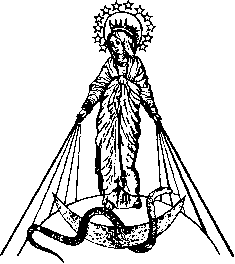 Hie accompanying illustration below (as seen in Catholic catechism booklets) pictures Mary with twelve stars circling her head and the crescent moon under her feet! Many of these renamed figures were crowned and adorned with jewels—in exactly the same way as the images of the Hindu and Egyptians virgins. But Mary, the mother of Jesus, was not rich (Luke 2:24; Lev. 12:8). From where, then, did these jewels and crowns come that are seen on these statues supposedly of her? By compromises—some very obvious, others more hidden— the worship of the ancient mother was continued within the "church" of the falling away, mixed in, with the name of Mary being substituted in place of the older names.